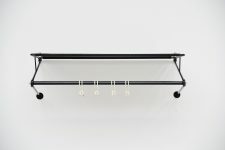 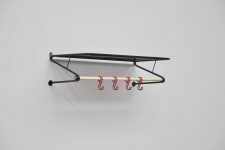 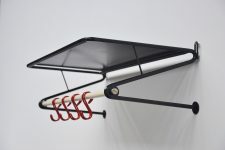 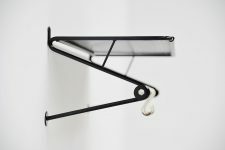 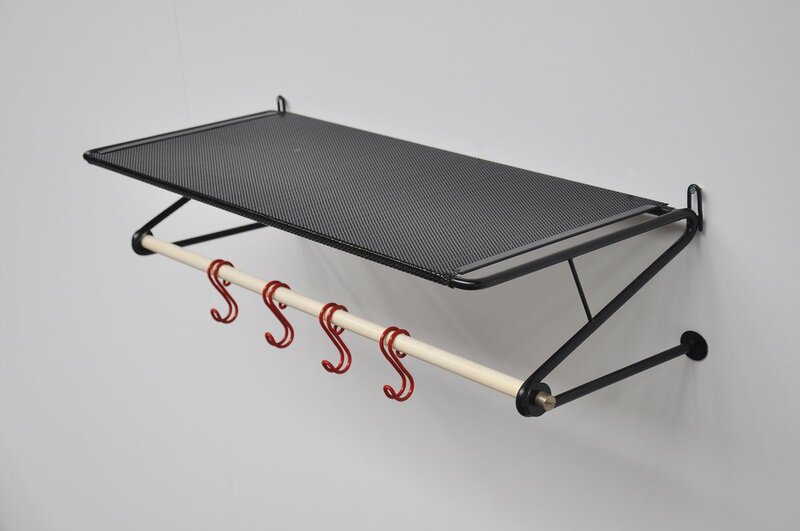 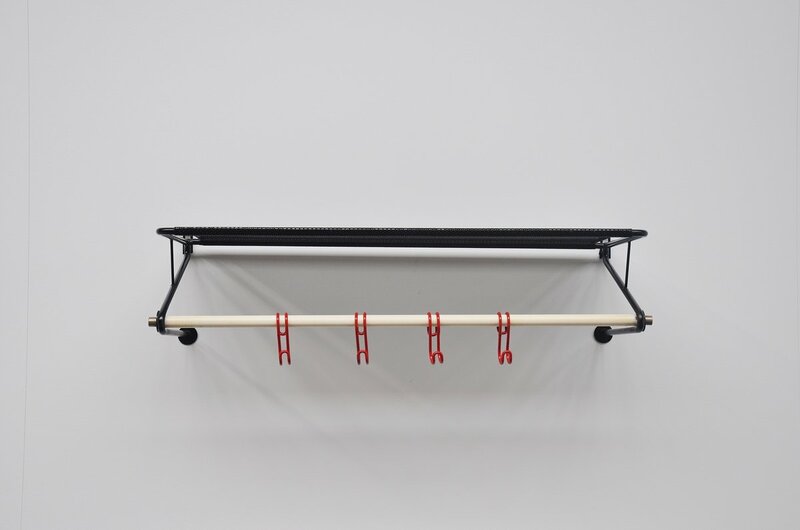 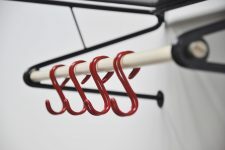 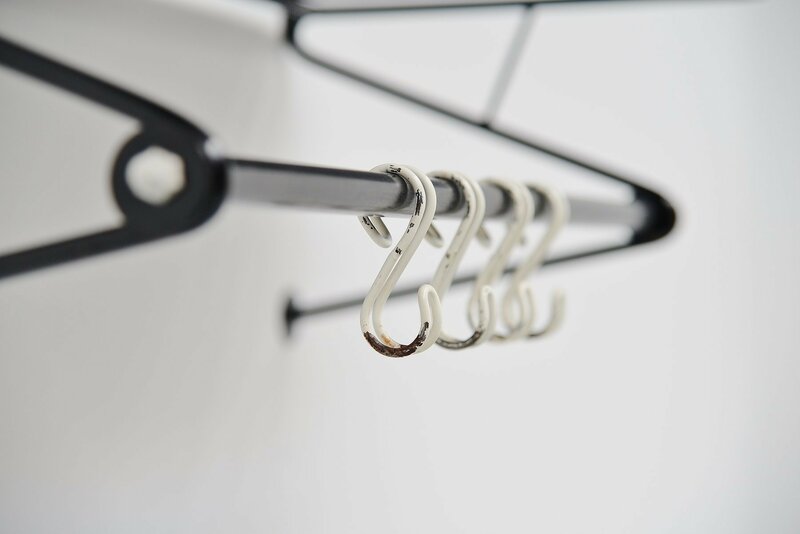 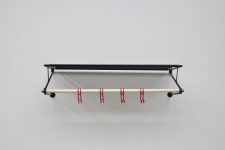 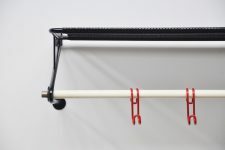 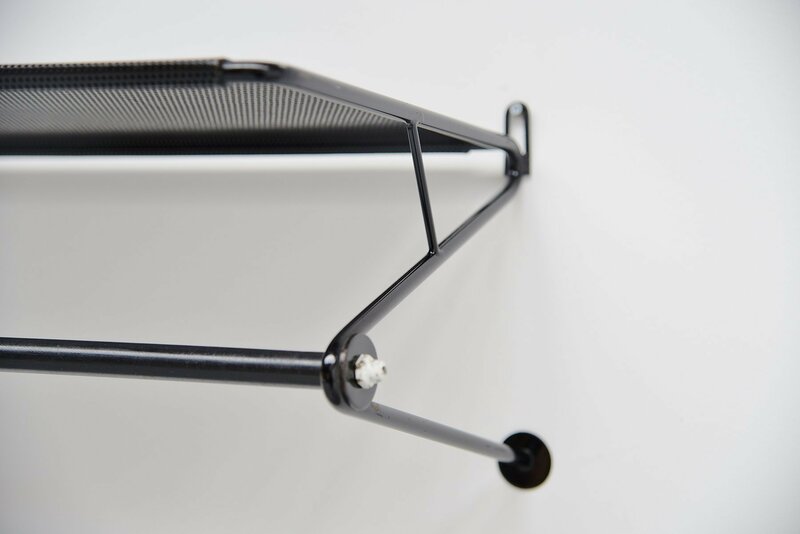 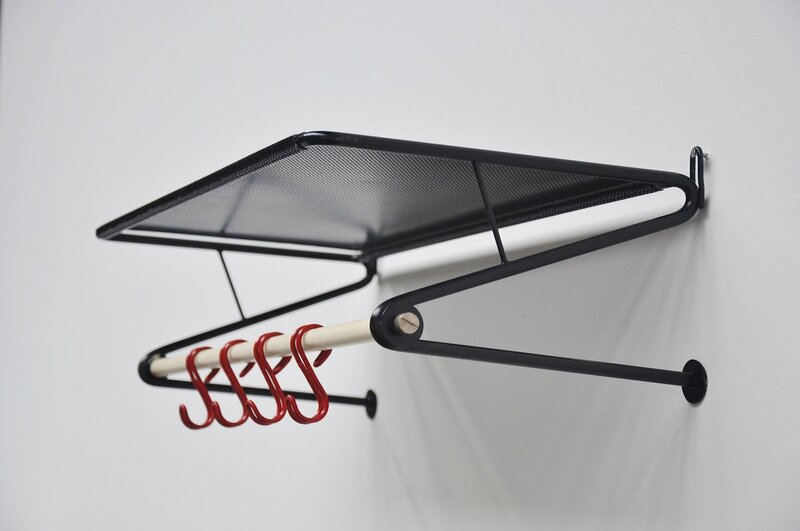 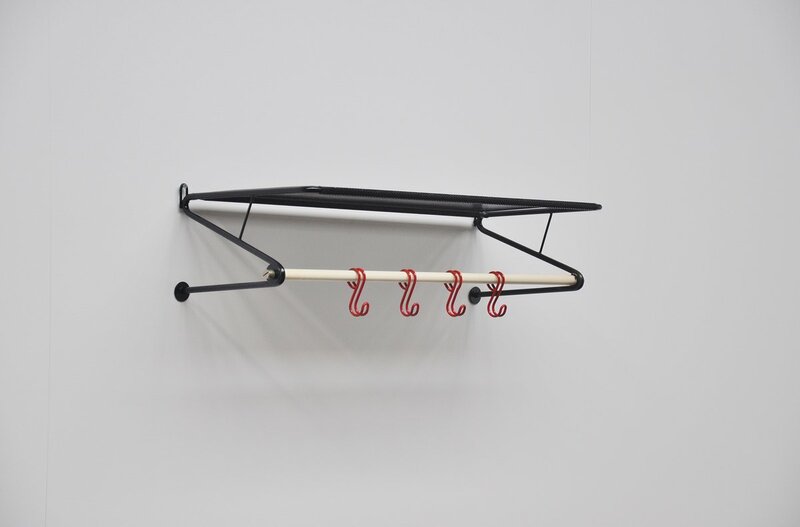 Very nice coat rack designed by Mathieu Mategot for Artimeta Soest, Holland 1960. 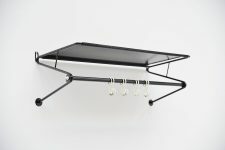 Artimeta made some licensed products from Mategot during the 1960s, some of them were only made in Holland for the Dutch market and were not produced in France. 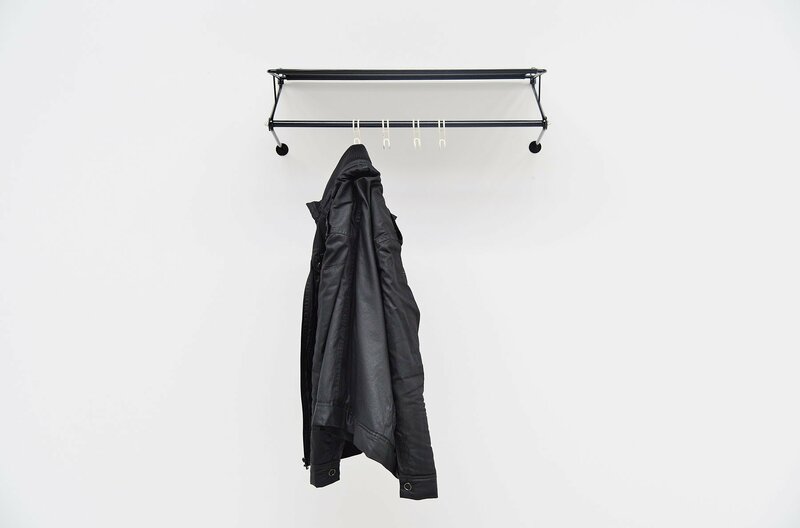 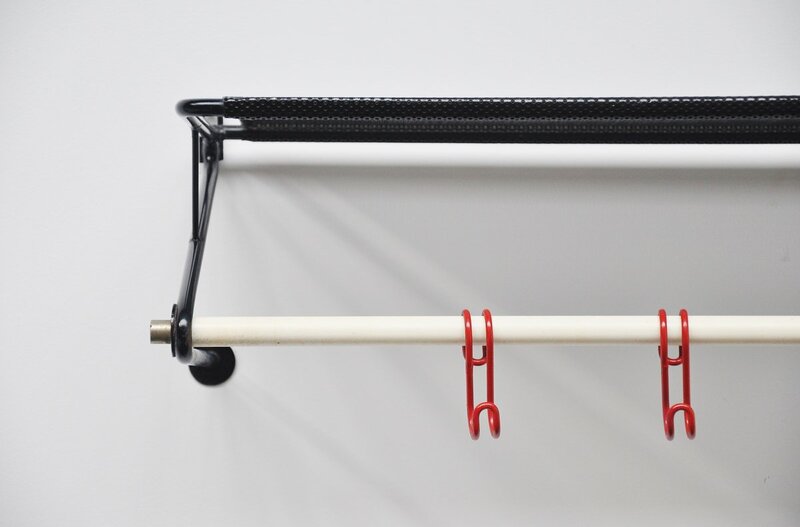 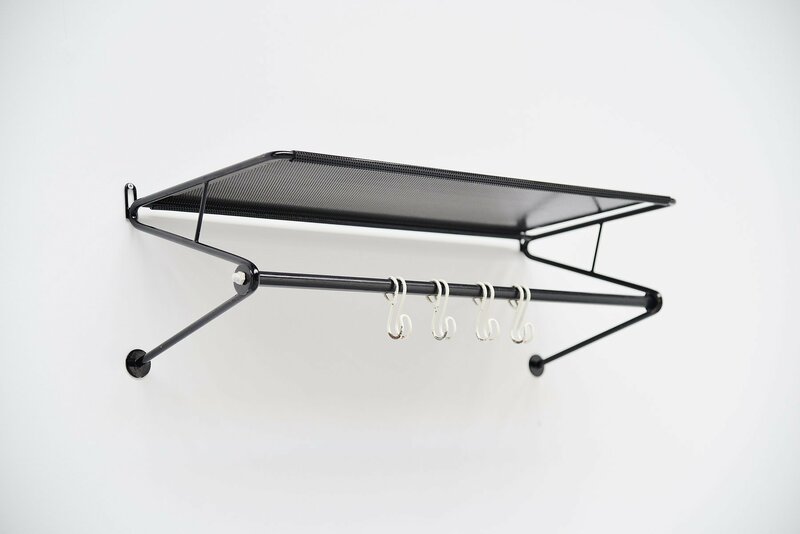 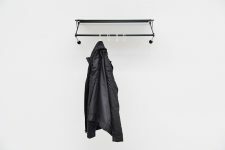 This coat rack is an example of that productions, documentation is available upon request. 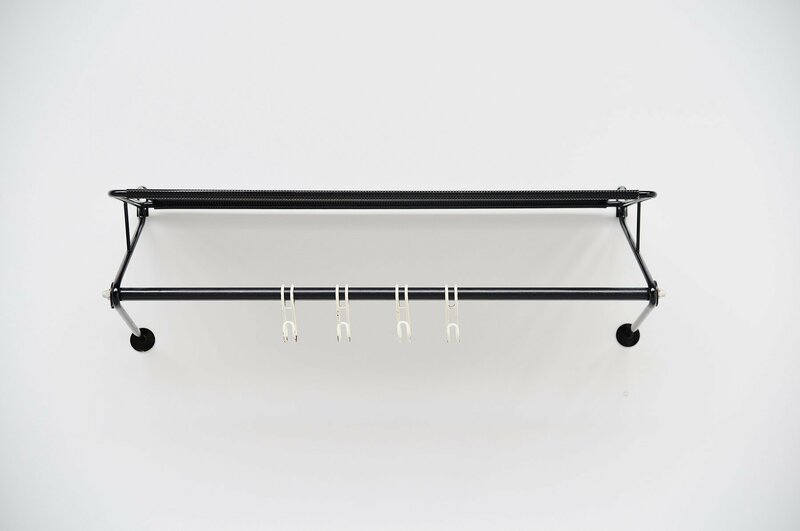 This coat rack is in very good original condition and easy to wall hang using only 2 screws. The current listed coat rack is sold, but we have another one in stock that is white. Email us for pictures.